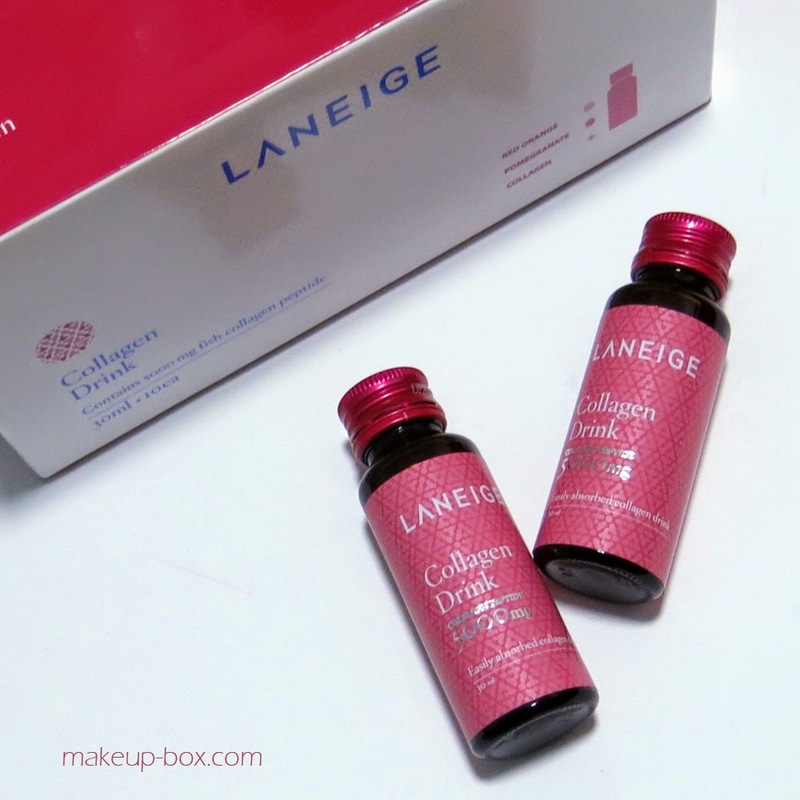 Following on the Asian craze for skin tonics and collagen supplements, Korean powerhouse LANEIGE will be launching their own once-a-day Collagen Drink in Singapore on 31 March 2015, which contains 5000mg of marine collagen peptide, which is exactly the amount of collagen the average person metabolizes and needs to replenish daily. Collagen is necessary for maintenance of skin, hair, nails, joints, mucus membranes, and even our bones, and after the age of 25, our ability to generate collagen starts to deteriorate, which is why our skin starts to dull and sag, our hair becomes less lustrous and lush, and we also eventually start to experience joint pain and arthritis as we get older. But just taking collagen supplements aren't always helpful. Many formulas aren't synthesized efficiently by the body after consumption, and our bodies just digest and burn them as expensive sources of energy, which is why I've always hesitated to try them. The newer generation of supplements seem to have many of these concerns in mind though. 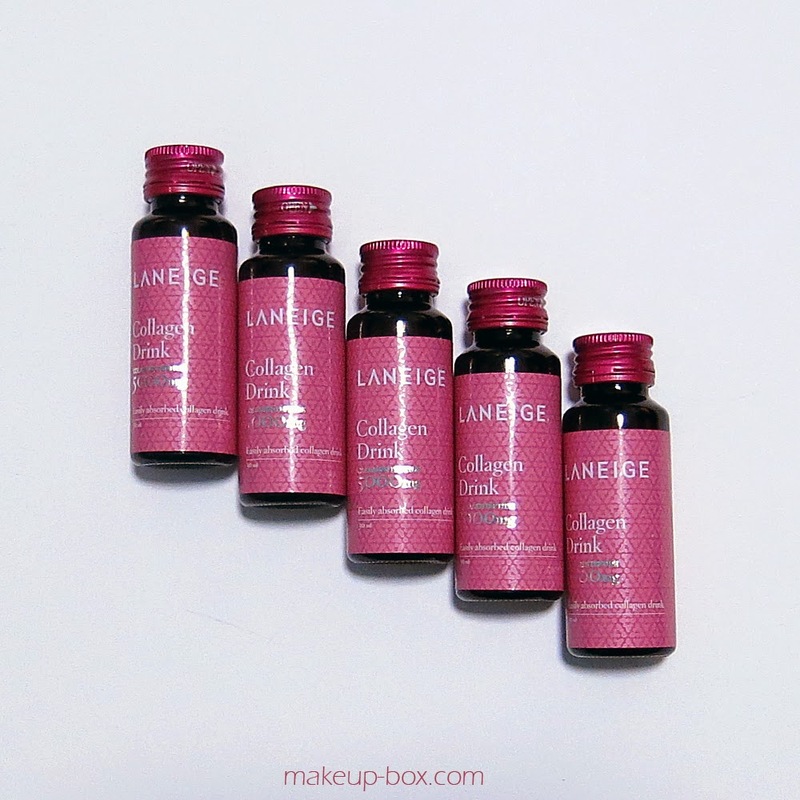 LANEIGE's collagen peptide is synthesized from tilapia fish, which has a lower molecular weight than other sources. This is meant to enhance absorption and synthesis. While you can technically eat tilapia regularly for skin benefits, most of us are unlikely to eat a whole fish daily. (1 bottle of this Collagen Drink contains the collagen peptide found in an entire fish). The formula is also free of artificial coloring, preservatives, and sugar, and each bottle contains just 25 calories of pure protein, so you don't need to worry about it impacting your diet. It's also easy to stash a little bottle in your bag when you're out, although it's recommended that you consume this at night. There's only about a mouthful or two of liquid in each serving, and the generic fruit flavor makes it easy to mix in your juices. I actually find it a tad too saccharine sweet, so if you're in the habit of making your own veggie or fruit juices, it might be a good idea to mix everything in. The only catch is each box of 10 will not come cheap, and is priced at SGD52, so it's really up to your discretion whether you want to drink it daily or take 3-4 bottles a week as a boost to your regular diet. awsome Fortunately, the requirements right here will be not really very much, Viva Video for iPad select previously clicked photographs or a training video show. nice. good the article about Mobdro for Computer / Notebook House windows. mobdro alternative mobdro apk We can set up Mobdro for clever tv set. For additional depth nice. good After offering a short idea about the SALTS Kodi, See full post Maneuver over to the Add-on Configurations in the SALTS Kodi Addon screen. nice. good system or so that you can check into your existing Snapchat consideration. http://snapchatfilterss.com software and components that causes it near unattainable great. good shows and movies but now these online streaming apps are clearing out those problems. i found it here you on the subject matter “How to mount Cinemabox Apk great. good Saving software from the Google Play Retail store needs Play Store extremely well to search and download programs from the Play Store. nice. good You can explore through your favorite categories and discover new videos. snaptube video downloader The iphone app let us you have fun with infinite video lessons mount nice. good Inning accordance with the firm the Duo is changing for Google Duo App To make use of the phone calls do not hesitate nice. good in very first row on Bluestacks Home display. artisto for windows phone It functions in a similar way by applying filters to video clips nice. good huge slatted sides which now come to be the brand-new bestcribmattressz.com in the five most typical colors: cherry, coffee, pebble grey, nice. good to the main website. Now simply double click mobdro for pc you should have any one of the Android emulator set up best. It is an fashionable post thanks for sharing.